CCCE Adult Education Classes Starting Soon! Call Rob Elia at 315-593-9469 to learn more! Welcome to the Center for Career and Community Education (CCCE). Cayuga Community College and the Center for Instruction, Technology & Innovation (CiTi) have formally partnered to deliver adult and continuing education programs to Oswego County residents and employers. Through this formal collaboration, we are able to maximize each organization's valuable resources, increasing our ability to offer career training programs, leisure learning opportunities, adult literacy classes, youth programs and customized corporate training. CCCE focuses on developing adult career pathways offering students multiple opportunities from entry-level, noncredit courses to mid-skill level certificate degree programs. Our programs will be aligned with demand occupations in the Central New York region focusing on our local employer's needs. Please contact 315.593.9400 to speak to a friendly and helpful staff member who will answer your questions. Register for courses online! The CCCE Campus is located at 11 River Glen Drive, Fulton NY, 13069­­. 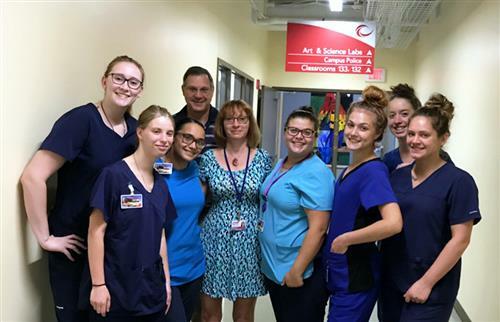 The Center for Career and Community Education (CCCE) boasts another 100 percent pass rate for its summer Certified Nurse Assistant course. 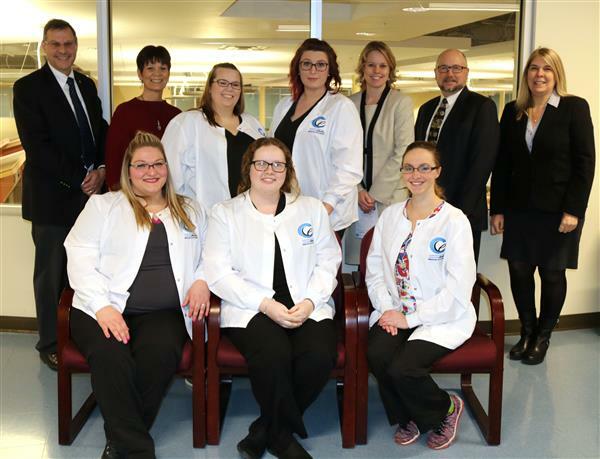 CCCE held a completion ceremony for students who successfully completed the Medical Assisting program.